In case you are tired of big noisy hotels and would like to have a rest at a place located 3 km away from the centre - the Old Town of Tallinn, then remember that a stylish, cosy, alcohol- and tobaccofree hotel White Villa with homely atmosphere is waiting for you with its 10 beautiful unique rooms, which are equipped with all modern conveniences. 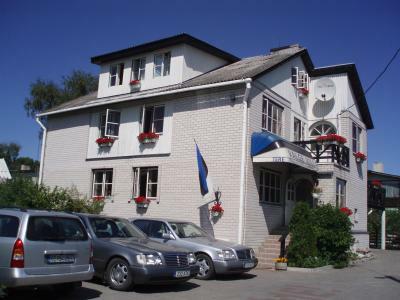 White Villa is the best place to stay overnight for people who have come to Tallinn for a longer period of time and for guests coming by car. WHITE VILLA - it is a BIG HOME! 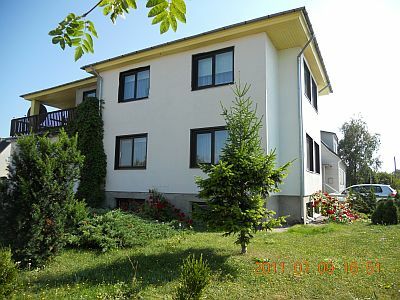 White Villa Guesthouse Kuressaare is waiting for you - Accomodation for 8 persons!